We are on week 2 of Peak 313’s first challenge! I hope you enjoyed last week’s challenge, introducing Greek Yogurt into your diet and praying for your Pastors and church. Please, keep those up as we do the other weeks if you enjoyed them. 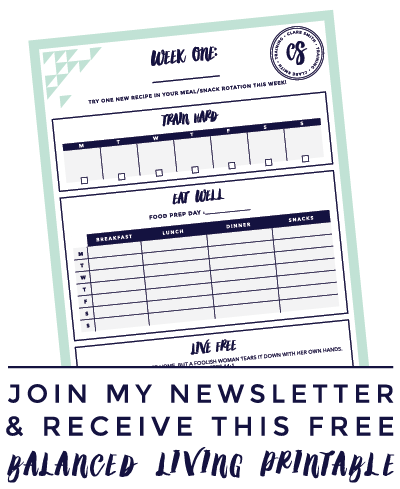 I’d love to help you create some new healthy habits! Watch below for our new “Try It” item! Quinoa was considered “the gold of the Incas’ and is native to South America. It is considered a complete protein meaning it includes all 9 essential amino acids. I’ve read that it’s great for migraines (due to the amount of magnesium in it), it’s awesome for your cardiovascular health, and even a great antioxidant! I seriously have not found one thing wrong with it, except that the taste may take some getting used to! Here are a few reasons why I want you to “try” quinoa this week! ♦ It has a double the amount of fiber than traditional grains. ♦ It is quick and easy to prepare. Let me give you some ideas of how to incorporate it into your diet this week. – Substitute it for rice or pasta as a side. You can fix it conventionally per the box, or google some recipes for a pilaf. – Use it in a main dish. I’ve seen stuffed peppers, meatballs, and soups made with quinoa! Please be sure to link-up if you have a blog (grab my button below!) or comment below if you don’t have one! Okay, I’ll be looking for it! Week one was a huge success in our house. I posted the recipes I used. Quinoa will be slightly more challenging for me! Oh, I’m not sure about the button, but could it have something to do with the font in the “copy and paste” section? When I first copied and pasted the info into my blogger “edit html” tab it was normal, but then when I clicked over to “compose” and back to the “edit html” it had strange characters. So what I did is I typed everything exactly as you have it and then it worked. That’s what makes me think it has something to do with font. I’m excited about this one! I just learned you can grind up the Quinoa to make COOKIES!!! I’m trying that this week. I saw the Quinoa flour in a recipe too! I saw it in pancakes! I first tried Quinoa last summer when we were on vacation and loved it. We ate it all summer and slacked off in the winter. I bought a big bag the last time we were at Costco and this gives me a great reason to bust it out! Thanks for this challenge. I’m loving the spiritual challenges you’re doing. Last week I couldn’t participate (as I’m the pastor it seemed selfish to pray for myself – I did pray for other pastors though so I guess that kind of counts) but this weeks is great. I love listening to podcasts of sermons and have to remember to put them on! I’ll try this afternoon while my son is sleeping. Wow, that’s a new one to me. Never heard before but right away got some and tried it out this morning: Super! Had it as a Müsli with Strawberries, Bananas, dried grapes and nuts… yummy! Thanks for the idea! Am am again linked up and will do the spiritual challenge as well this week! Have already been eating Greek yogurt since November in an attempt to get more protein in, and less hydrogenated corn syrup. LOVE it, although it did take some getting use to! Will try the quinoa this week. Have been eating Greek yogurt since November in an attempt to get more protein in, and less hydrogenated corn syrup. LOVE it, although it did take some getting use to! Great ideas! I have been eating nothing but Greek Yogurt now for a coupld of months and find it to be a great fulfilling snack/meal. I am looking forward to trying out some new ideas with Quinoa. I just boght a big bag of it from Coscto and haven’t done anything with it because I didn’t know WHAT to do with it! Now I know! Thanks for sharing! Looking for ways to mix things up and kick up my weight loss! I also had a question for you. I am trying to add your button to my blog. I am a newbie in the world of blogging and have no idea how to add it. Was wondering if you could help so I could add it to my post today? Thanks! And thanks for the challenge! yay! i just bought a bag at Walmart last week because i had been wanting to try it! i’ll let you know how it goes! I also am looking forward to the benefits of the magnesium for my migraines. I take several supplements everyday for migraine prevention (magnesium, calcium, and Vit D) and so far it is helping dramatically! glad to find more whole foods that i can naturally feed my body for better health and energy! Somehow I managed to completely miss week 2’s post until Friday, but I’ve been curious about quinoa and now am encouraged to give it a try. I’m still holding out on the greek yogurt until I get my new blender though. 😉 Looking forward to what tomorrow brings. LOL Kim! That is so funny and I also love the “bubble wrap” reference. You need a blog girl!! I’d love to see your recipes on there! I know I’ll have more challenges in the future–of different natures. Stay tuned! Interesting! I’ve been going by the pronunciation explanation on the bag of quinoa I usually by (kind of funny that they put a pronunciation guide on it!). I get my quinoa at Costco for about 2.50/lb (or about 0.16 cents per ounce). It comes in a 4-lb bag that lasts for a couple months (usually). Because it’s a complete protein it’s remarkably filling. I’ve made it into “burgers,” served it instead of rice when I would normally have served rice, served it chilled with oil, vinegar, and scallions or other chopped vegetables, added it to soups and breads, and now I’ve made it for breakfast following those recipes you posted. Thanks!